This page illustrates the main hardware components of our basic low Earth orbiting CubeSat. The "brain" of the satellite. Includes a very low power Texas Instruments MSP430 microcontroller on the Pluggable Processor Module on the Motherboard. The aluminum structure of the CubeSat, into which Alnico V magnets are glued for passive magnetic stabilization. Power supply controls charging of the lithium polymer batteries by the photovoltaic panels, and produces 3.3V and 5V and ~8V raw. 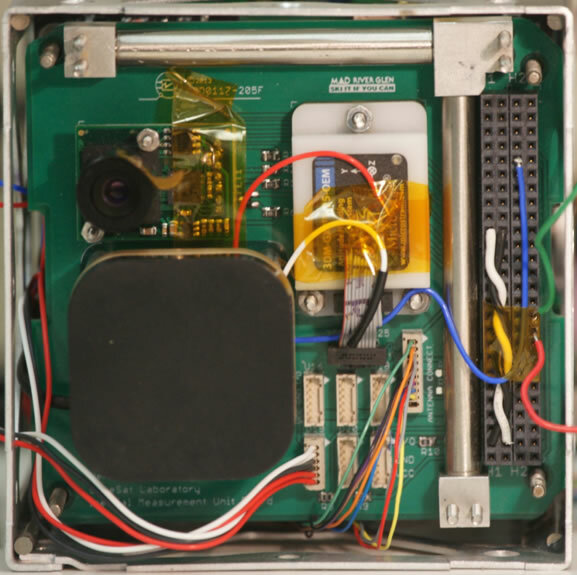 Receiver for 2m band and transmitter for 70cm band. 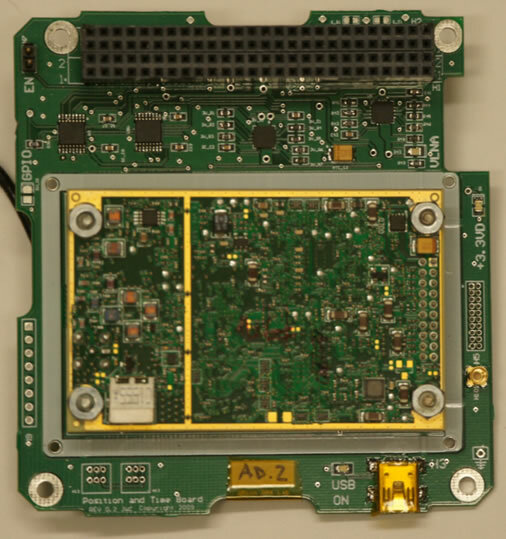 For communication between the ground station and the CubeSat. Crossed dipole antennas for 2m and 70cm, deploy after the CubeSat is deployed from the launch vehicle. 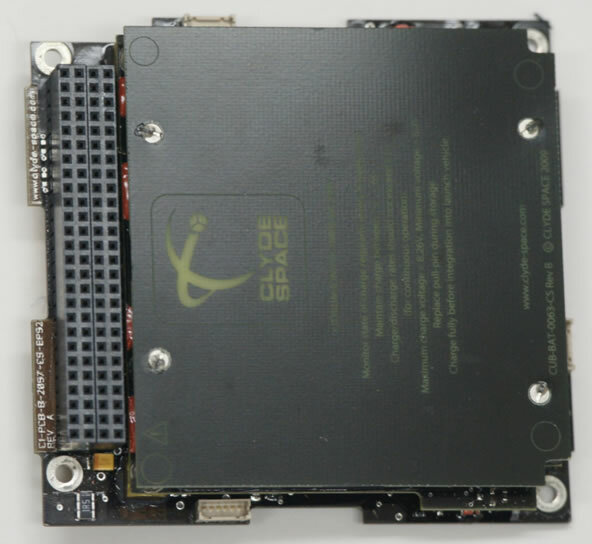 Space qualified GPS and mounting board. 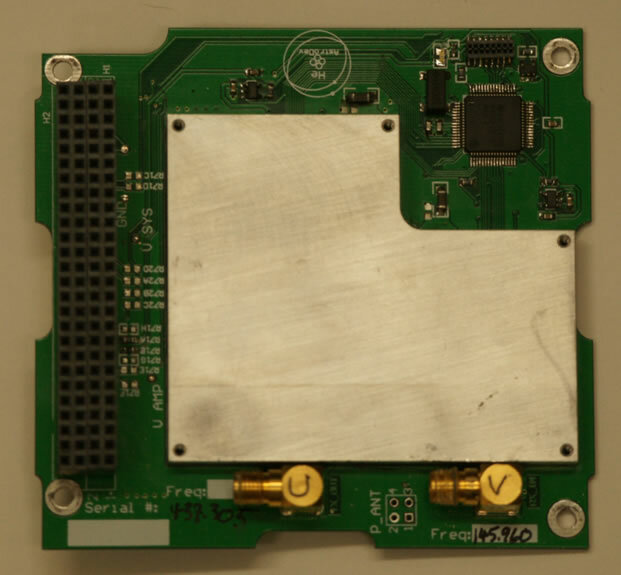 Mounts our Microstrain Inertial Measurement Unit, our GPS patch antenna, our camera and hysteresis rods. 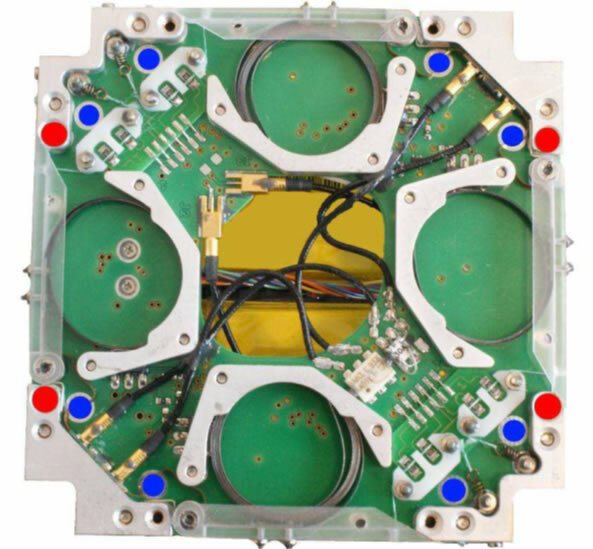 Outer surface of the CubeSat mounting photovoltaic cells for solar power generation and very bright LEDs to observe the CubeSat from the ground. Made for us by LED Dynamics.